All-you-can-eat seafood at competitive prices sound a little too good to be true? Well, IT ISN’T. 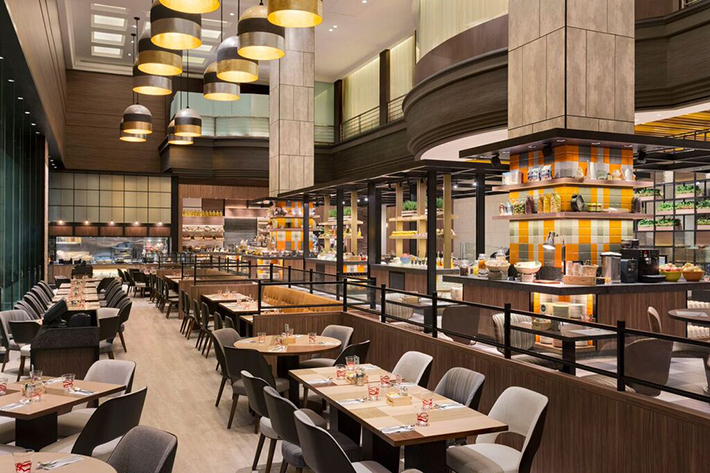 J65 at Hotel Jen Tanglin Singapore introduces four exciting buffet themes throughout the week at very unbelievable prices. Yes, four! And every single one is exhilarating, to say the least. Offering an assortment of seafood-centric buffet dinners with four different themes, Hotel Jen’s J65 is back at it again. 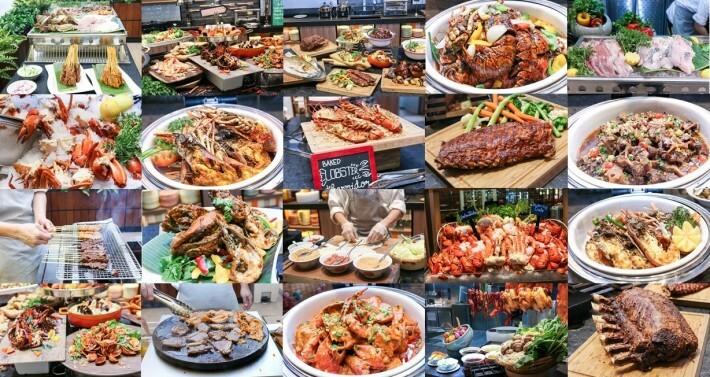 They range from Crab, Lobster, Seafood, International cuisine as well as a myriad of home-style dishes stemming from the multicultural cuisine of Singapore. 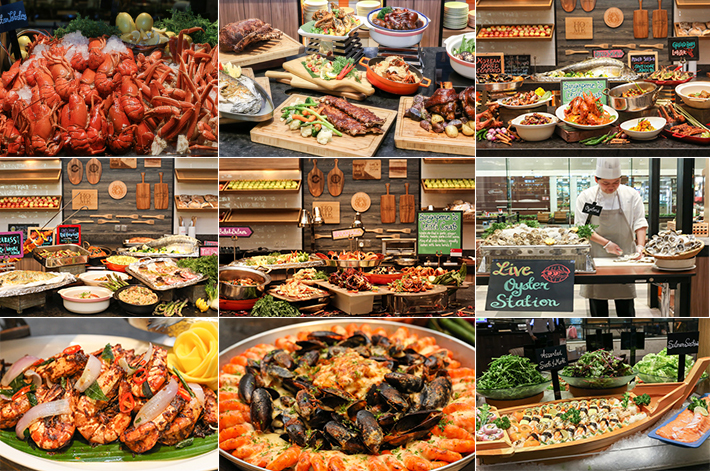 As one of our all-time favourite spots in Singapore for affordable buffet line-ups, J65 at Hotel Jen Tanglin Singapore constantly surprises us with new dishes and themes that are hard to resist. The one thing that we really appreciate about J65′s spread is the live stations. From roasted meats to local delicacies such as oyster omelette, on top of a DIY Rojak counter and a popiah booth with chef making the popiah fresh on the spot, J65 is ever ready to impress and it has undisputedly one of the most value-for-money spreads in Singapore. Exclusively for Ladyironchef readers only, you are entitled to a complimentary bucket of 8 fresh oysters from Sundays to Thursdays. Isn’t this an offer you would love to redeem? You have to read on then. The Hotel Jen line of hotels is a perennial favourite among travellers of all sorts. It is a fun brand that plays around with modern touches and cheery colours, and the all new Hotel Jen Tanglin Singapore is a swanky property with cosy vibes that is so easy to fall in love with. After undergoing a whopping S$45 million renovation, Hotel Jen Tanglin Singapore is now ready to impress with its facelift. As part of the re-opening, Hotel Jen Tanglin Singapore has a room stay deal that you totally cannot miss. With introductory room rates from S$165++ onwards that includes complimentary breakfast and wi-fi, this is a fantastic opportunity to check out the property. Travelers coming to Singapore, this is perfect for you. 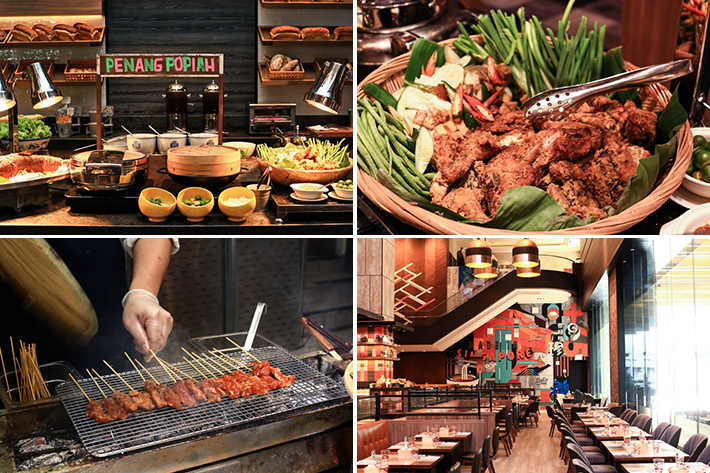 For the rest of us Singaporeans, does this not sound like a staycation to book right away?